Driftwood Cask & Barrel’s Matt Vondenstein shakes a few drops of bitters into a cocktail. Photo by Courtney Holden. 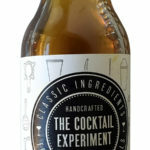 Editor’s note: Josh Duke is the sole owner of The Cocktail Experiment. This article has been updated to correct the error. Where would an Old Fashioned be without bitters? Or a Sazerac or Pisco Sour? The botanical concoctions known as bitters were first sold for their supposed medicinal properties. Now, they chiefly serve to tie together the strong ingredients of a proper cocktail with just a few drops. But while Angostura or Peychaud’s bitters are usually expected in a bar’s inventory, the average bar patron’s experience with bitters is slim at best. We know what type of liquor we’re in the mood for, and maybe even the mixer, but bitters is often a distant concern. Unless you’re the person building the cocktail. “It does add a lot of flavor and also balances out the cocktail,” says Matt Vondenstein, an owner, operator and bartender at Driftwood Cask & Barrel. Vondenstein previously worked at the now-closed Lock & Key Whiskey Bar, where knowledgeable bar staff often experimented with ingredients to make their own bitters and simple syrups. He brings that same sensibility to Driftwood, which opened in November, and drafted a seasonal cocktail menu that, while featuring tried-and-true traditional bitters, also brings unique flavors like grapefruit or lavender bitters. Their citrusy and floral punches can stand up against bourbons and whiskeys in surprising ways while adding complexity to Champagne and gin-based drinks. Vondenstein sources some of those more interesting flavors from a brand that recently started right in Baton Rouge: The Cocktail Experiment. Did you know? 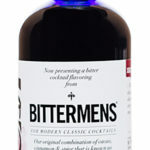 Besides the newest (The Cocktail Experiment) and one of the oldest varieties (Peychaud’s Bitters), Louisiana is also home to Bittermens Bitters, one of the largest brands out there with varieties like ginger, honey, mole and winter melon bitters. 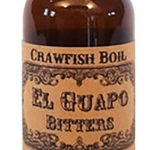 The popular El Guapo brand is also Louisiana-based. Owner Josh Duke, as well as Kevin Doyle and Kramer Ritchie, are building a line of cocktail bitters, craft mixers and syrups that have become popular additions to local and regional bars. Orange, chocolate and black pepper bitters are on the roster, in addition to orgeat syrup and even pineapple habañero syrup. Ritchie, the brand ambassador, says they first began selling the products online last summer, developed as an alternative to what they saw as an overly expensive market of mixers. While they initially marketed to the at-home cocktail enthusiasts, they soon learned their bartender friends were interested in using them, too. In January, The Cocktail Experiment started distribution statewide through International Wine and Spirits of New Orleans. In Baton Rouge, The Cocktail Experiment’s products are behind the bar at the likes of Driftwood, Magpie Café downtown and Olive or Twist, which Duke co-owns. Vondenstein and his bar staff relish the opportunity to bring in new flavors of bitters or mixers and try them in a variety of cocktails. That’s how he came up with one of Driftwood’s signatures, “A Pot Without Honey,” which features Paddy’s Irish Honey Whiskey, lemon juice and The Cocktail Experiment’s grapefruit bitters. It seems like an odd pairing—whiskey typically meets Angostura or other aromatic bitters in Old Fashioneds or Manhattans—but the grapefruit bitters offer a citrusy kick that balances the sweet hints of the honey whiskey. Vondenstein holds true to the ages-old claim that bitters can sooth the stomach. But more than that, he says, it ties the cocktail together. Note: These spots often change menus seasonally.